First Minister Nicola Sturgeon has confirmed that she will seek permission for a second referendum on Scottish Independence. Ms Sturgeon said she wants a vote to be held between the autumn of 2018 and the spring of the following year and that she will ask the Scottish Parliament next week for permission to request a Section 30 order from the UK Government. She said that the Scottish people must be offered a choice between a hard Brexit and becoming an independent country. In a speech ahead of the UK’s formal process to exit from the European Union being triggered, the First Minister said that, despite Scotland voting by 62 per cent to 38 per cent to remain in Europe, the UK Government “has not moved even an inch in pursuit of compromise and agreement” since the Brexit vote. She also said that Westminster has ruled out membership of the European Single Market “with no prior consultation” and warned of real economic damage caused by the UK leaving the single market. The First Minister added that there must be clarity on the implications of Brexit for Scotland – and clarity about independence – before the choice is put to the country. 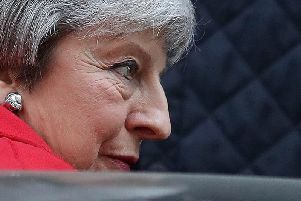 She therefore proposed that a referendum take place between the autumn of 2018 and the spring of 2019, when the shape of the UK’s Brexit deal will become clear. Ms Sturgeon said: “Scotland stands at a hugely important crossroads. On the eve of Article 50 being triggered, not only is there no UK wide agreement on the way ahead – the UK Government has not moved even an inch in pursuit of compromise and agreement. “UK membership of the single market was ruled out with no prior consultation with the Scottish Government or with the other devolved administrations, leaving us facing not just Brexit, but a hard Brexit. “And far from any prospect of significant new powers for the Scottish Parliament, the UK Government is becoming ever more assertive in its intention to muscle in on the powers we already have. The language of partnership has gone, completely.